I’m thrilled! After 31 years, I’m finally getting my Spanish Citizenship! I’ll have dual citizenships from the United States and Spain. My mother just returned from the Spanish embassy in Chicago with all the paperwork necessary. To commemorate, my family had a fantastic bbq including a staple in our house called Aliño. 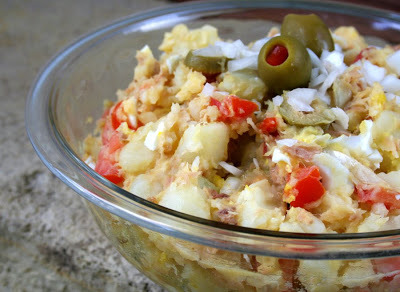 A Spanish potato salad that features a variety of flavors including olives, tuna, and extra virgin olive oil. A Spanish potato salad that can be served cold or at room temperature. Add the potatoes and eggs to the boiling water, cover and boil for 15 minutes. In a large bowl, add the boiled potato's, tomatoes, onion, tuna, olives and eggs. Mix in 1/2 - 3/4 cup of olive oil, salt and mix through. In Spain, aliño is served at room temperature. « La Frontera Grill – Simply Amazing! I love all the flavors in this dish! I forgot to say thank you for nominating me for the Kreativ award. Congratulations on getting your Spanish citizenship! This looks like a fabulous dish to help you celebrate. Congratulations Diana! That's awesome….and that food looks delish!! Wow, congrats! Hmm potatoes, tuna, eggs, olive oil! Hmm True Spanish Heaven! All the flavours are there! What Olive oil do you use? This looks great and congratulations! 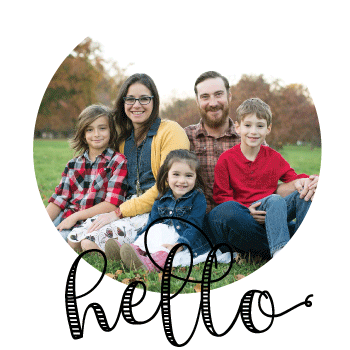 Congrats – Felicitaciones now that you’ve now dual citizenships! Hi! Congratulations for your new Citizenship! And this salad is just gorgeous. At home, we usually make one very similar to yours. But this is so perfect! Congrats! I really love your blog. I traveled in Spain for a delicious three weeks many years ago and it has stayed with me ever since. I'll be stopping by regularly here! Thank you for visiting my site…. Thank you so much for your comments! I am super excited to be an "official" Spaniard! Ruth, Olive Oil is so expensive in the states (GRR!!) since it's really the only type of oil I use I buy a large jar from Costco, It's from Italy and cold pressed. Never tried an Aliño before-sounds great!! Hola -That is my kind of entree-salad. Quiero un poco de eso.